One last post for 2017! Here we have an Imperial bunker for use in Warhammer 40,000 tabletop wargamming. At five parts, the bunker is incredibly simple to build! 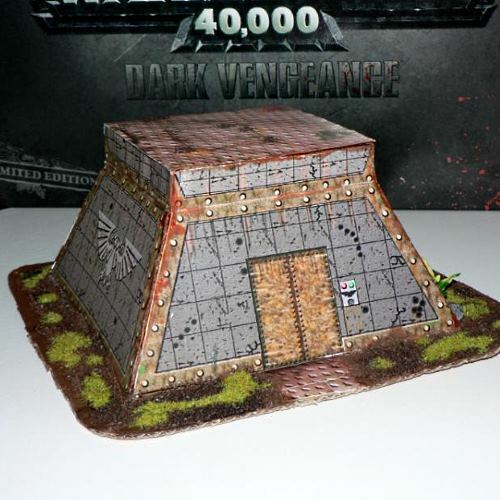 This model was built by German Warhammer enthusiast, Ralf Engels. A printable template for the model may be downloaded here. The Lancia Stratos was a successful rally car during late 1970s and early 80s. 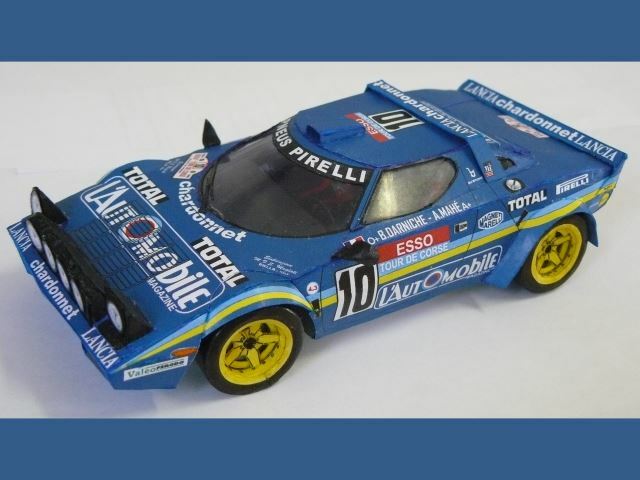 This paper model Stratos has the color scheme of Bernard Darniche's car when he won the 1981 Tour de Corse. A printable template for this paper model may be downloaded here. Production of the road version of the Lancia Stratos ceased in 1978. Porgs are one of the most talked about of the new creatures that were introduced in Star Wars: The Last Jedi (I think cuteness may be a factor). ^^ Porgs are the bird-like animals that inhabit the island where the aged Luke Skywalker makes his home. 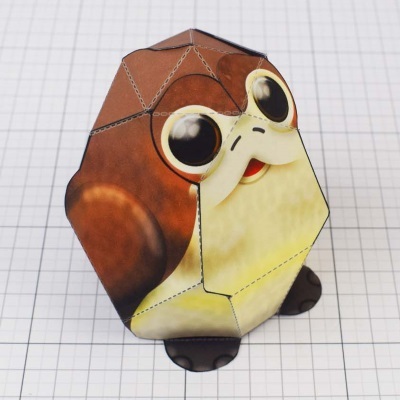 This porg paper toy was created by Fold Up Toys. The single piece, printable template for the toy may be downloaded here. 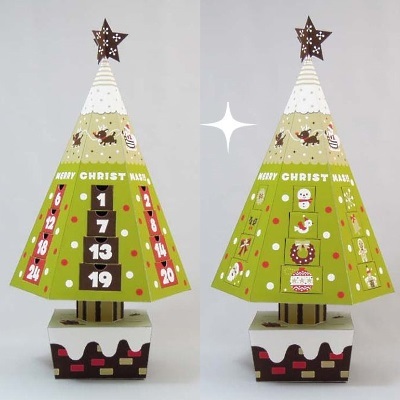 This printable Christmas tree Advent calendar from Canon Creative Park has an ingenious method for counting the days until Christmas. The tree contains numbered drawers corresponding to the days of December. After the appropriate drawer is pulled out of the tree (and the treat inside consumed! ), the drawer is then replaced in the tree backwards. On the back of each drawer is an ornament for the Advent tree! This papercraft was designed by Masahiro Watanabe. Remember the in-game space marine avatar in the original Doom video game? His steely face was the health indicator in the heads-up display at the bottom of the screen. 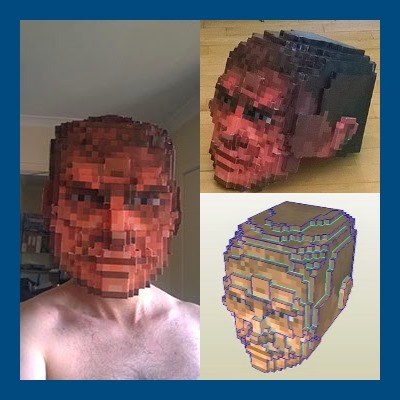 Using the 2D HUD image of the Doomguy's face, Dean Swanton created this printable 3D papercraft mask! Dean has graciously allowed me to offer the template for the mask through Tektonten Papercraft. A download of Dean's files may be found here. Be forewarned, the files are in a somewhat raw form and may require some cleanup to improve the build-ability of the model. The first Doom game was released in 1993.